Sound Transit has secured a long sought-after agreement with the Trump administration for $1.2 billion in federal money for the planned 8.5-mile Northgate-to-Lynnwood light-rail line, our news partner The Seattle Times reported Monday. 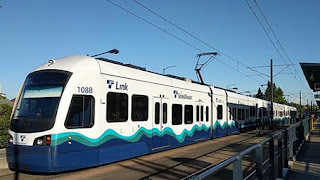 The agreement between Sound Transit and the Federal Transit Administration (FTA) still must undergo a 30-day congressional review period, but it is highly likely that it will be finalized next month, The Times said. An estimated 68,500 daily riders are expected to board the Lynnwood Link trains, which will provide an option to escape some of the nation’s worst highway delays. Read more in The Times story.